Western counties in Massachusetts Western counties in Massachusetts U-Pick farms: Find a pick your own farm near you in Western counties in Massachusetts for fruit, vegetables, pumpkins, organic foods,local produce and more! Looking for a local, pick-your-own farm in Western counties in Massachusetts? Scroll down this page and you will see the U-Pick farms in Western counties in Massachusetts, sorted by county. Those that offer organic or sustainably grown produce are identified by the words "organic" and/or "sustainable" in Green, next to their name (see "What does Organic mean?"). The U-pick crops they offer follow the name of the farm. To search the page for a specific crop, use Ctrl-F (or on an ipad or Mac, use their "search on this page" function) If they have a website, the name will be in blue and underlined; click on it and it will open their website. If you find anything outdated or inaccurate, see the customer and farmer menus (as appropriate) at the top menu bar to submit updates and corrections and help me keep each current! East Mountain Road, Mount Washington, MA. Phone: 413-528-1479. Open: Call blueberry hotline for picking conditions, daily from 9am to 5pm, end of July through mid-September. Directions: On the Road to Mount Everett, one quarter mile before entrance to reservation. 2480 Green River Road, Williamstown, MA 01267. Phone: 413-458-2470. Email: [email protected]. Open: in 2014, their website says: Green River Farms is closed for renovations and reorganization; See our website for current hours. Directions: From Route 43 South: Take Route 43N - Come to the intersection of Route 7 & 43. Go straight through intersection - Farm on right. From Route 7 South: Take Route 7N - Come to the intersection of Route 7 & 43. Take right at intersection - Farm on right. From Route 7 North: Take Route 7S - Come to the intersection of Route 7 & 43. Take left at intersection - Farm on right. Click here for a map and directions. Crops are usually available in March, April, May, June, July, August, September, October, November, December. We minimize use of pesticides and other chemicals. Payment: Cash, Check, Visa/MasterCard, Discover. Route 295 - Canaan Road, Richmond, MA. Phone: 800-833-6274. Open: Wed to Sunday, 9am to 5pm Labor Day until Columbus Day for PYO; Stand open 9 am to 5 pm. Directions: Mass Pike to Exit 1, to Route 41 North to Route 295 West, farm three quarters of a mile on the right. Containers provided, children welcome, picnicking and free hayrides on weekends. View cider mill and offer hard cider. Year round stand and bakery. New: Furnace Brook winery tours & tastings. Howden Farm - Blueberries and raspberries. 303 Rannopo Road, Sheffield, MA. Phone: 413-229-8481. Email: [email protected]. Directions: 3 miles south of center of Sheffield. At fork of Route 7 & 7A(1.7 miles) take 7A, then first right onto Rannapo Road. We are first place on the left. Open: Pumpkins last weekend and holidays in September thru all of October 10-5pm. 3475 Route 43, Hancock, MA. Phone: (413) 738-5915. Email: [email protected]. Open: weekends only; Mid September thru October for Pumpkins; 10am-5:30pm; Everyday during Strawberry season from 8 am to noon, and 4:30 to 7:30pm weekdays, weekends, 8-4:30pm. Directions: 8 miles west from the intersections of Route 7 & 43. Directions: 4 miles east from the intersection of NY Route 22 & 43. In the Spring, Ioka Valley Farm's Sugar House is open to visitors whenever we are boiling, mid-February through early April.We are home to natural, hormone free beef, perfect pumpkins & squash, fragrant, real Christmas trees, contented farm animals, pure maple syrup, and specialty maple products. Ioka Valley Farm is a diversified, family owned and operated working farm dedicated to providing high quality locally grown products as well as enjoyment for all ages. Our maple products are available for sale by appointment or by chance. You can visit Uncle Don's Barnyard to feed, pet, and see the baby farm animals. The friendly farm animals include pigs, sheep, goats, calves, and rabbits, chickens, ducks, llamas, and miniature donkey. * Hay tunnel and hay piles inside the barn. * Giant sandboxes both inside and outside. * "Molly Milk-Me," the mechanical cow. * A farm book library with a quiet place to sit and read. * An outdoor farm-theme playground. Kirchner's Farm - Blueberries and raspberries. 131 Churchill Street, Pittsfield, MA. Phone: 413-443-7645. Open: Mid July thru early September Call for appointment. Directions: From center of Pittsfield, follow West Street approximately 3 miles, take right onto Churchill. Watch for signs on left. Call for appointment. Route 143, PO 565, Hinsdale, MA 01235. Phone: 413-842-7592. Email: [email protected]. Click here for a map and directions. Crops are usually available in February, March, April, September, October, November. Open: year round please call ahead for times and crop we are picking and or boiling maple syrup; Please call ahead for pyo crops. Payment: Cash, Check. We are more of a maple syrup set, meaning we focus on that crop the most. We also have a fine line of jams and jellies that are made as the crops come in from harvest. We sell to retail stores and other outlets. 101 New Hartford Road, Sandisfield, MA 01255. Phone: 413-258-4761. Alternate Phone: 413-822-7811. Email: [email protected]. Open: Friday, Saturday, and Sunday, from 9 am to 5 pm, Please call for mid week hours. Click here for current open hours, days and dates. Directions: 101 New Hartford Road. Click here for a map and directions. Payment: Cash, Check. Click here for our Facebook page. 47 Washington Mountain Road, Washington, MA 01223. Phone: 413-623-5859. Open: Saturday and Sunday from 9am to 4pm. Other days by appt. Directions: 5 miles from Williams Street, Pittsfield. Near State Forrest, Pittsfield, MA 01201. Phone: 413-443-7645. Open: 9am to 5 pm everyday; Blueberry Season Starts in July, check out our news section for updates. Directions: Please call, on phone message daily hours are very flexable, some evenings too. Click here for a map and directions. Welcome! High Bush, aprox; 250 bushes Middle July up to six weeks Family friendly Purple Lilac breed rabbit comes for fun. Payment: Cash, Check. Come pick, any row, eat as many as you want learn to 'echo', sometimes see meteorite, antlers, fun for all. 370 Pittsfield Road, Hinsdale, MA 01235. Phone: 413 655 2672. Email: [email protected]. Open: 9am to 5pm daily. Directions: 4 miles from Pittsfield via Williams Street. Payment: Cash, Check. Route 183 & Division Street, Great Barrington, MA. Phone: 413-528-1515. Email: [email protected]. Open: Call ahead for conditions and hours. Directions: Take Route 7 South from Stockbridge and follow signs to Route 183. 3/4 mile from Route 7 on Route 183. Strawberries grown without pesticides. 1209 B Hawley Rd, Ashfield, MA 01330. Phone: 413-625-2849. Alternate Phone: (413) 768-7989. Fax: (413) 768-7989. Email: [email protected]. Open: Starting mid September - Saturday and Sundays 11 am to 5, or call ahead during the week, we are often around. Directions: From Route 112 in Ashfield Ma, head west on Hawley Rd, go 1 mile and bear right staying on Hawley Rd, go another 1.5 miles on Hawley Road and follow signs. Click here for a map and directions. We are certified organic for all crops! Payment: Cash, Check. Click here for our Facebook page. 182 Flagg Hill Road, Heath, MA 01346. Phone: 413-337-5340. Email: [email protected]. Open: July, August, 7 days a week, 9 am to 3 pm, as long as supply lasts (probably 2-4 weeks) Calling ahead just to let us know you're coming is helpful but not necessary. For more info visit our website. Flagg Hill Road, Heath, MA. Phone: 413-337-4454. Bring your own containers or $1. 00 per box. Directions: 2 miles from Heath Center on Flagg Hill Road. Open: Fridays, 3pm to 8pm, Saturday, and Sunday from 8am to 8pm. 303 Upper Road, Deerfield, MA. Phone: (413) 772-6797. Email: [email protected]. Open: daily 10am to 5pm, , August through March PYO starts early September. Directions: From Route 91/2 rotary in Greenfield, 2 miles South via Newton, Fairview and Munson Streets. Signs at intersections. Containers supplied, children welcome with parents. Clarkdale is a fourth-generation fruit farm located in the beautiful hills of Deerfield, Massachusetts. We have fresh-picked apples, peaches, plums, pears, cherries and grapes are harvested from August through October. We still have heirloom apple varieties from trees planted by the first generation of Clarks, and continue to plant new varieties every year. We practice IPM (Integrated Pest Management) and strongly believe in sustainable agriculture. We press sweet cider from mid-September to March, and offer pick-your-own McIntosh apples in the fall. We start making cider in early October, and continue through the winter. Our cider is light-treated, which makes it safe for all ages to drink while still preserving its flavor. We press pear cider and other special blends for CiderDay as well as for the Thanksgiving and Christmas holidays. Routes 5 & 10, South Deerfield, MA. Phone: 413-665-0277. Directions: 1.5 miles North of Yankee Candle Co. Open: pick your own berries 7 days a week from 8am till 6pm closing( you have us open till 8pm!) Pickers can call ahead to make sure the pick your own is still available. Our season runs from the beginning of June (when the strawberries start to ripen) until Christmas. Formerly Ripka's Farm. Peckville Road, Shelburne, MA. Phone: (413) 625-2317. Directions: Route 2 west from Greenfield 3 miles right onto Peckville Road, 1 mile on right. September 15th - Oct. Friday pm, Saturday & Sunday 9-6pm. Family owned, minimal spray. Hamilton Orchards - apples, blueberries and raspberries. 22 West Street, New Salem, MA. Phone: 978-544-6867. Email: [email protected]. Open: See the note below; last hours were weekends from 9am to 5pm. Call for weekday hours according to picking conditions. Fall raspberries start early September to mid-Oct. Directions: located in central Massachusetts, just off Route 202 near the northern end of Quabbin Reservoir. Exit 16 off Route 2. Look for signs. Containers furnished, supervised children welcome. Hamilton Orchards does not accept credit cards or SNAP/EBT Cards. Cash only or checks with a photo ID. A visitor writes on October 21, 2014: "As far as I know Hamilton Orchard in Franklin county is closed/out of business. We went out there on October 5th and it was a ghost town. Not a soul in sight. Their website has not been updated since 2013. Very sad- it was a wonderful place- I've been going there for about 30 years." Colrain-Shelburne Road, Shelburne, MA. Phone: (413) 625-2874. Directions: Route 91 to Route 2 West, farm is 3 miles out of Greenfield (on Route 2). Labor Day through Columbus Day, 9-5pm. Containers provided. Nourse Farms, Inc. - Blueberries, raspberries, strawberries, vegetables. 41 River Road, Whately, MA. Phone: 413-665-2658. Containers provided. Rhubarb and peas available during strawberry season. 24 Hour Berry Line - Phone: 413-665-2650 for latest conditions. Directions: From Greenfield, Route 91S to exit 24, at end of ramp turn left on to Routes 5 and 10 for one quarter mile. Turn right on to Route 116 for 1 mile. Northampton/Springfield, Route 91N to exit 22. Take 3rd right onto Depot Road to River Road. Look for blue signs. Hours are generally 8am-4pm daily. Call to confirm at our 24 Hour Berry Line - Phone: 413-665-2650 for latest conditions, hours, and crops being picked. 248 Greenfield Road, Colrain, MA. Phone: 413-624-3325. Blueberries PYO daily during store hours. Open: September 2 - October 15, depending on apple crop. Saturday & Sun, 10-4pm. Directions: 3 miles North of Route 2 West, North to Route 91, West to Route 2, turn at Colrain-Shelburne Road, orchard 3 miles away. 239 River Road, South Deerfield, MA. Phone: (413) 665-2752. Open: Blueberry-picking starts in mid-July. Comments from a visitor on July 09, 2012: "We went to Sobeiski's last year because of seeing it listed as organic on this site. It is not actually organic though. I think it is IPM. They said there was an error at some point on a web site, and now it has propogated. So you should take down the organic listing for them, or you could call them directly to confirm. Thanks. Thanks for your wonderful site!" Comments from a visitor on September 01, 2010: "I have gone there for a few summers to pick. Unbelievably sweet berries, really friendly staff, great prices. They ward off birds with recorded bird distress calls." Comments from a visitor on September 18, 2009: "Love this place, have picked berries for many years. Market also has veggies in season." 159 Old Amherst Road, Sunderland, MA. Phone: (413) 665-8331. Open: Daily, June-September from 8am to 6pm. Directions: From Sunderland Center, 1 mile East on Route 116 onto Old Amherst Road. 2nd house on left, #159. 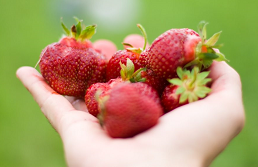 Pick-Your-Own strawberries, blueberries, asparagus, sweet corn, flowers and tons of great in-season produce. 81 Parker Street, East Longmeadow, MA 01028. Phone: 413-783-1909 . Open: Daily after June 10, 8 am to noon Daily after July 4, 8 am to noon and 3:30 pm to 6:30 pm. Directions: South on Route 83 from center of East Longmeadow, approximately 1 mile, left on Hampden Road to blinking light, right to 81 Parker Street. Click here for a map and directions. Strawberries after June 10, Blueberries after July 4. Payment: Cash, only. All responsible pickers welcome. Berry Patch, The - Blueberries. 1672 Main Road - Route 57, West Granville, MA. Phone: 413-357-6679. Open: 7 days a week, 8am to dusk; Best picking August and early September. Directions: one half mile West of West Granville Church and Store. one half mile East of Granville State Forest on Route 57. Brown's Provin Mt Farm - apples, blueberries, strawberries raspberries, tomatoes, pumpkins, vegetables. 443 North West Street, Feeding Hills, MA. Phone: 413-786-0495. Open: Call for hours. Directions: Exit 3 off I-91 in Springfield, take Route 57 west. 1 mile beyond Feeding Hills Center, turn right at light onto N. West St. We have a large "Pick Your Own" fruit & vegetable operation, including "PYO" strawberries in June, blueberries in July and August, Apples, Tomatoes, Peppers, and Raspberries in September and October. We also sell our delicious tomatoes, corn, and apples when in season at our farm stand located at 443 North West Street. Cook's Farm Orchards - apples, blueberries. 106 Haynes Hill Road, Brimfield, MA. Phone: 413-245-3241. Email: [email protected]. Open: daily from 10am to 6pm during the season.No minimum, free weekend trailer ride. Directions: Route 20 West to Brimfield Center stop light. one half mile south on Route 19, follow signs. Cook's Farm Orchard is open in the summer (check with us) for Blueberry picking, and from September through Thanksgiving, and weekends through Christmas for apples, cider, and baked goods.Fall is the time of year when the fun really starts at Cook's Farm Orchard. Pick-your-own apples and enjoy the crisp air, sun-warmed fruit, and the sights & scents of autumn in the orchard. 101 Wilbraham Road, Monson, MA 01057. Phone: 413-267-3303. Email: [email protected]. Open: PYO apples begin Labor Day weekend, tractor rides on weekends; Call ahead for crop availability for PYO on weekdays. Directions: Center of Monson (Rte.32) West on High Street to Wilbraham Road approximately 2 miles. Click here for a map and directions. Payment: Cash, Check, Debit cards, Visa/MasterCard. Family friendly haunted hayrides Friday and Saturday nights in October. Please call ahead for dates and times. Cider donuts in the Fall. Country gift shop and our own line of wines. 410 Skyline Trail, Chester, MA 01011. Phone: 413-667-3640. Email: [email protected]. Open: Pick your own blueberries opens middle July; Pick your own apples opens late August from 9 am to 5 pm, daily. Picking updates: call or email. Directions: Click here for a map and directions. Call for exact opening dates: Blueberries - middle July Apples - late August. Payment: Cash, Check. Hay and maple syrup for sale. Call 413-354-9609 for price and availability. 207 Bromley Road, Chester, MA. Phone: 413-667-3251. 10% discount for 20 lbs. or more. Directions: From "Country Store" Route 112, Huntington, follow signs. From Route 20, Huntington, cross bridge. Sharp left at end of bridge. About 4 miles. Open: daily from 8am to 5pm, Sundays noon to 5pm. Kosinski Farm - apples, blueberries, vegetables. 227 North West Street, Feeding Hills, MA. Phone: 413-572-4344. Open: July & August, 7 days a week from 7am to noon, except closed on Friday. Directions: Route 57 West 1 mile past Feeding Hill Ctr. Turn right onto North West Street, one half mile on left. 275 South Lane Road, Granville, MA 01034. Phone: 413-357-6690. Open: Farm stand open week ends, honor system during the week. Directions: Granville Center to Route 57 West, go past town hall, turn left onto South Lane Road, go 2 miles to farm stand on left. Click here for a map and directions. Payment: Cash, only. apple varieties: Mackintosh, Macoun, Spencers, Sun Crisps, Honey Crisps, Mustu, Delicious, Cortland. West Granville Blueberries - Blueberries. 448 North Lane, Granville, MA. Phone: 413-357-8829. Email: [email protected]. Open: mid July to mid September daily 9:00am to 5:00pm. Directions: Route 57W, past Granville Ctr. 4. 1 miles to North Lane on right. Farm is 2. 2 miles down on North Lane on right. We cordially invite you to pick your own large juicy high bush cultivated blueberries. Picking buckets available. Please be sure to call us for our current picking conditions. The blueberries are $2.50 a pint- pick your own. Atkins Farms Country Market, 1150 West St., Amherst, MA 01002. Phone: (413) 253-9528. Email: [email protected]. Directions: Junction of Bay Rd & Route 116, Amherst. Weekends 10am to 5pm. Call ahead to confirm. Bakery, Meat Dept. , Floral, Gifts, Produce and Deli. 160 East Street, Southampton, MA 01073. Phone: 413-5279091. Open: Mid June is pick your own cherry time; Starting time varies. Directions: 2.2 miles from route 10 on East Street. 3.5 miles from route 141 Southampton road. We use integrated pest management practices. Payment: Cash, Check, Debit cards, Visa/MasterCard. Click here for our Facebook page. Our family farm has been growing fruit since 1926. Some of the trees from Jacob Bashista's original orchard are still producing fine fruit for your enjoyment. Our blend of ripe apples are slow pressed in our own cider mill to create a fine apple cider that can be enjoyed either hot or cold. Don't forget those awesome cider donuts!. 55 Gunn Road, Southampton, MA 01073. Phone: 413-527-4671. Email: [email protected]. Directions: Route 10 south from Easthampton, take left on Coleman Road At Stop Sign take a right on Gunn Road, Farm 1/4 mile on right. click here for picking updates. Click here for a map and directions. Crops are usually available in July, August. Open: Tuesday through Saturday 9AM to 6PM;Sunday 9AM to 3PM; Closed Monday. After Blueberry season by chance or appointment. Blueberries: July to end of August; Call for picking conditions. Payment: Cash, Check. We sell blueberries year round. After the fresh picking season we sell frozen berries. Same anti oxidants. 246 Skyline Trail, Middlefield, MA. Phone: 413-623-5519. Blueberries and raspberries. We provide all containers and bags. Directions: Take Route 20 towards Chester to Middlefield Street, approximately 5 miles, follow signs. Open: 9am to 4pm every sunny day from early August to the end of the picking in September. 472 West Cummington Road, Cummington, MA 01026. Phone: 413-634-5529. Email: [email protected]. Open: every day from 9 am to 7 pm from mid July to mid September. Directions: from Route 9 to the field: follow Route 112 South for 3.2 miles, turn right on Trouble Street, second driveway on left. from Route 143 to the field: follow Route 112 North for 2.3 miles, turn left on Trouble Street, second driveway on left. Click here for a map and directions. We use integrated pest management practices. Payment: Cash, Check. We also have a Bed & Breakfast with six guest rooms with shared baths. East Hadley Road, Amherst, MA. Phone: 413-253-1893. Email: [email protected]. Directions: Route 116 South from downtown Amherst 1 mile to a right onto East Hadley Road. Farm is 1 mile on left. Open: PYO by appointment only. We offer organic strawberries to adults looking to pick in large quantities (10 lbs. min per person). Dickinson Farms - apples, blueberries, strawberries and raspberries. 134 South Street, Granby, MA. Phone: 413-467-3715. Containers provided, children welcome with supervision. Directions: 2 miles East of Jct. Route 33 and New Ludlow Road, and/or going south on Route 202 in Granby, take a left on Ferry Hill Road, and follow signs. Open: for Raspberries, Strawberries, daily from 7am-7pm; Call for Blueberries/Apple schedule. 50 Eskett Road, Belchertown, MA 01007. Phone: 413-323-7392. Open: 7 days a week 8am to 8pm, while in season and weather permitting. Directions: Click here for a map and directions. Current information on our Facebook page. We do not use pesticides on the crops. Payment: Cash, Check. Route 47, Hadley, MA. Phone: (413) 549-0805. Directions: From Route 9 take Route 47 North 2.5 miles. Farm is next to Lake Warner. Open: 7:30am to 7pm daily during picking season starting around June 5th. 393 East Street , Easthampton, MA 01027. Phone: 413-329-0211. Email: [email protected]. Open: June thru October; usually open 1 pm to 4 pm on weekdays. You must belong to the CSA to harvest items.. Directions: See their website for directions. Payment: Cash, Check. All the produce is organic. Comments from a visitor on July 02, 2010: "I love the farm, this is the first year I belonged to the CSA, but it's awesome!" 136 Main Rd Route 66, Westhampton, MA 01027. Phone: 413-529-9388. Fax: 413-529-0421. Email: [email protected]. Open: At Outlook Farm we invite you to pick your own apples everyday from 10am to 4pm, starting September through October. We do not pick on rainy days; We supply you with a half bushel size apple bag for picking at the cost of $25 per bag; We only offer one size bag for pick your own. Click here for current open hours, days and dates. Picking updates: Click here for picking updates. Directions: From Northampton, Ma Rte. 9 West, Bare left onto Rte. 66 west, Follow Rte. 66 for 7 1/2 miles, Outlook Farm is on the left, From Springfield, MA Rte. 91 North, Exit 17B, Rte. 141 West, Follow Rte. 141 west until it ends at Rte. 10, Left onto Rte. 10 for a half mile, Take your first right on Glendale Road, Follow until stop sign, Left onto Rte. 66, Follow 1 mile up Rte. 66, Outlook Farm is on the left. Click here for a map and directions. On Sunday afternoons September 9th through October 21st you can take a horse drawn hayride 1:00pm to 4:00pm for a charge! Apples are harvested in order of ripeness; Please call for info on what varieties are ready. Payment: Cash, Debit cards, Visa/MasterCard, AmEx. Click here for our Facebook page. May Bloomin Festival. June Strawberry Festival. July Cherry Festival. August Peach Festival. September Apple Festival. October Pumpkin Festival. Pig Roast and BBQ Noon-3pm: Enjoy a plate of BBQ with all the Fix'ins a plate includes choice of meat, cold salad, baked beans, corn bread and soda or water. Comments from a visitor on July 12, 2010: "Excellent. They had PYO cherries yesterday and host a variety of PYO events throughout the year.Outlook Farm serves wonderful breakfasts. In addition, this is the 2nd year in a row that they offer monthly harvest festivals in the summer months. On July, 11 the hosted a PYO Cherry Festival. This was the 1st time i had experienced cherry harvesting in Western, MA and all three varieties (including yellow) were delicious! Western MA does not market their cherry crop nearly enough...I hope I can help spread the word." 7 Carver Street, Granby, MA 01033. Phone: 413-467-7645. Email: [email protected]. Directions: See our website And for a map to our farm, click here. Crops are usually available in June, July, August, September, October. Open: Farm Stand open daily May 1 - October 31 We are certified organic for all crops! Payment: Cash, Check. Crops We Grow for Pick Your Own: Strawberries, Snap, Snow and Shell Peas, Herbs: Basil, Thyme, Sage, Oregano, Parsley, Mint, Savory, Marjoram, Lemon Balm, Lemon Verbena, Chives, Garlic Chives, and more, Beans - Green, Purple, and Yellow, Shell Beans, Cherry Tomatoes, Husk Cherries, Flowers for Cutting - Sunflowers, Zinnias, Gomphrena, Strawflowers, Celosia, and many more, Hot Peppers, Edible Flowers, Raspberries - limited amounts, Tomatillos, Sweet Mini Peppers. Stay tuned in later summer 2015 for possible PYO Apples! This may be open to the public. Comments from a visitor on August 02, 2009: "Any pick-your-own opportunities that this farm has are NOT open to the general public - only to CSA members. This fact is not very clear - I checked their website and listened to phone message before driving the distance, both said pick-your-own is currently available - only to find that it isn't available to the public. Needless to say, I had 2 very sad 3 year-olds." 222 South Street, Chesterfield, MA 01012. Phone: 413-296-0010. Email: [email protected]. Directions:/map on website. Crops are usually available in July, August, September. Open: daily 9-5 Payment: Cash, Check. We have mini golf as well. Round Hill Orchard - apples, blueberries and raspberries. 1 Douglas Rd, Southampton, MA 01073. Phone: 413-562-4985. Horse and sheep to feed. Offer fresh farm honey. Children welcome w/adult. School & group tours by appt. Directions: Exit 3 off Mass Pike, take Route 10N about 3 miles. First left after the Southampton sign. Or South on Route 10 from Northampton, last right before Westfield. 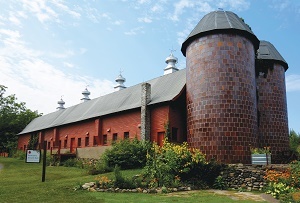 Open: 8am-Dusk 7 days a week: mid-July to mid-Oct.
74 Thrasher Hill Road, Worthington, MA. Phone: 413-238-5340. Open: Mid-July thru Labor Day - 7am-7pm, 7 days a week. Directions: From Northampton, take Route 66 west to Route 112N. Go about 5 miles, Take first left after "Entering Worthington" sign. Go to top of hill and park on the right as directed by sign. Natural - many varieties - children welcome. Click here for our Facebook page. 436 E. State Road, Route 202, Granby, MA. Phone: (413) 467-7952. Directions: Route 202, one quarter mile east of Granby High School. Call for daily updates and picking conditions. Route 5 & 10, Hatfield/Whately, MA. Phone: (413) 247-5181. Directions: Exit 24 off Route 91. 1.5 miles South on Route 5 & 10. Open: weekdays, 8am to 8pm, weekends 8am to 6pm. Main Street #501, Hatfield, MA. Phone: (413) 247-5244. Directions: 1.5 miles North of Hatfield Center on Main Street, or 4.5 miles from I-91, Exit 21 or Routes 5 & 10. 15 minutes from Northampton, or 20 minutes from Greenfield. Watch for yellow signs. Open: daily from 8am to 6pm. What's in Season in Massachusetts?